With India moving towards becoming a less-cash economy, go digital seems to be the mantra. From making payments by swiping your card to using mobile payment apps, use of cash has reduced considerably. So, it begs the question why this transition should be limited to just payments and banking? Why should other financial products, such as loans, be left behind? Which is why personal loans have joined the fray to go green by taking the paperless route. What are paperless personal loans? Paperless personal loans are just an extension of your regular personal loans. The only difference lies in the fact that in the case of the former, you don’t need to submit any documents, at least physically. Though it seems like a minor change, the paperless process has the potential to change the entire lending landscape. Picture this, you will no longer have to submit your documents in the physical form or even visit the bank’s branch. The entire process can be initiated and completed on the go or from the comforts of your home. How can you avail paperless personal loans? Most banks give you the option of applying for a paperless personal loan when you log in to your account via netbanking. Take for instance HDFC’s 10-second loan. If you are an existing customer of the bank, you just need to login to your account from your computer and apply. As the bank already has your details, they would be able to instantly take a decision with respect to your loan application. You won’t have to go to the bank branch to submit your documents and no document verification will be required as you are already a verified customer. It’s that simple! One of the boons of the e-commerce blast in India has been the advent of online financial marketplaces, such as paisabazaar.com. Applying for a personal loan has now become as easy as ordering a dress online! You just need to login to the sites, enter your requirements and voila you are shown the best loan options that fit your budget. Once your application is approved, you will have to scan your documents and upload them to their secure online lockers for the loan disbursal. Applying for a loan on the go is best possible via banks’ or online lenders’ mobile apps. The process is pretty much the same as the above two – netbanking and online financial marketplaces. You just need to select your loan option and submit the documents online for disbursal, once your application is approved. 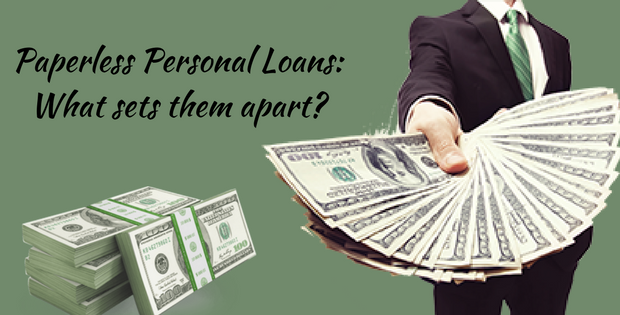 How is paperless loan different from pre-approved personal loan? Pre-approved loans are extended to people who have strong credit score and financial credentials. Also, they are extended by lending institutions on their own volition without the customer even seeking a loan. As a result, they are sanctioned instantly without the customer being required to submit a loan application or even documents, in some cases. Paperless loans, however, function differently. They require a borrower to initiate the action by way of applying for a loan. It’s only after the applicant has shown interest in personal loans that lenders take a decision on loan approval. 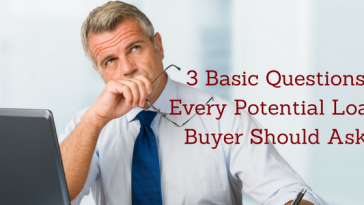 Another differentiating factor is that pre-approved loans, as the name states, are already approved. So there is no situation of loan rejection. But in the case of paperless loans, there is a possibility of loan rejection if you fail to meet the lenders’ personal loan eligibility criteria. Does my credit score play a role? The only way paperless loan differs from a traditional personal loan is the absence of physical documentation; there is no change in the loan approval criteria that lenders would consider. Therefore, your income, stability, repayment capability and credit score will continue to be as important as before. Given that now Indian financial institutions are focusing tremendously on credit history, credit and CIBIL score will only gain more significance. So, the only way forward for you is to build your history and continue improving or maintaining it. No need to visit your bank as application is processed online. Instant approval depending on your repayment capacity. No physical copies of documents need to be submitted. You just have to upload the scanned copies of your documents online. Loans are disbursed in the shortest time possible, beginning with 10 seconds. Avoid multiple applications: Just because it’s paperless, does not mean you can apply to multiple banks without thinking. Multiple applications will impact your credit score as they will depict a credit-hungry behavior. Research and compare: We are able to make best decisions when we have options to compare and choose from. Don’t blindly choose a lender and apply. Compare – research which lender is giving you a better rate of interest or flexible repayment scheme or even a longer (or shorter) tenure. Log on to online financial aggregators that will show you offerings of all the banks in one go. Always have a check list against which you compare lenders and then apply with the one that best suits your requirements. Decide your loan amount: Assess how much money you need before applying. As always whatever you borrow needs to repaid, with interest. So be wise and apply for only what you need. An ambitious requirement will put an unnecessary strain on your monthly budget, potentially leading to a financial crisis. Have a repayment plan: When borrowing, it’s important to have a repayment strategy in place. Chalk out how you plan to repay the loan and stick to it. If you enter without a plan, chances are you will have difficulty with your repayment and may end impacting your credit profile. Paperless personal loans are the need of the hour – hassle-free, time-saving, paper-free application process. You get to save time by avoiding long bank queues and not having to submit physical documents. Next article An Equity Funds Is A Must In Your Portfolio!